Through its collection, its service, and its staff, the Hood Library supports the academic program of Belhaven University by providing resources to explore all areas of human knowledge within the framework of a biblical worldview. 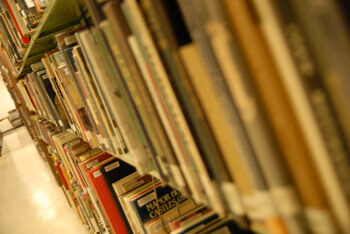 The students, faculty, administration, and staff of the University are the library's clientele; the library further recognizes and accepts community and inter-library cooperation as a part of its larger function. The Warren A. Hood Library Handbook provide an overview of library services for each Belhaven University campus and introduce library research skills. Note: The Handbook is in PDF format. You will need Adobe Acrobat Reader to open, view, or print these documents. You can download this software for free at www.adobe.com. The Hood Library welcomes suggestions for new items to add to our collection from Belhaven faculty, staff, and students. Please fill out the Acquisition Request Form to make a purchase recommendation. The total student checkout limit is 30 items. Books and reserves will not be renewed if another patron has requested them. Reference material and print periodicals do not circulate. Except for Reserve items, overdue fines are no longer charged. Lost item charges still apply (replacement and processing costs). If students can only pay reserve item costs or lost item costs by credit card, they still pay in the Business Office. There is a $2.55 convenience charge when paid by credit card. The library only takes cash—no checks. When a student checks out library material, he or she assumes responsibility for those items until they have been turned in, regardless of who uses them during the time they are checked out. Patrons may renew items and/or place holds at the circulation desk, through the library catalog, or via telephone, email, or text. Books and AV materials may be checked out by Belhaven students, faculty, staff, alumni, and Belhaven neighbors. When using books and periodicals in the library, please do not re-shelve them. Leave them on tables or at the circulation desk for re-shelving. The Warren A. Hood Library provides 12 computer workstations connected to network printers for Belhaven students, faculty, and staff. Library computers are primarily intended for enrolled Belhaven University students to conduct research. Patrons engaged in non-research activities may be asked to relinquish a computer. The library also provides wireless access for students' personal devices. Students can print from library computers at a cost of 10 cents per page for black-and-white copies and 50 cents per page for color copies. The Warren A. Hood Library is home to several other departments on campus. Both the Registrar's Office and Center for Career and Calling are located on the second floor. In addition, the campus computer lab is also located on this floor. The Think Center is housed on the main floor and Barber Auditorium is located on the ground floor of the facility.